In this video, we’ll talk about how to get a cat to use the litter box. 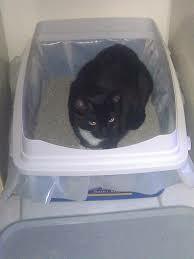 The most common (and serious) issue that prevents a cat from using a the litter box is a medical problem. Your cat may have a urinary tract infection (common in cats) that causes pain with urination. Your cat actually thinks it has something to do with the litter box and is trying to find someplace to pee that doesn’t hurt. If your cat stops wanting to use the litter box or starts peeing on the carpet, on the bed, or in other areas of your home, please take the cat to the vet immediately for a simple urine test to see if there is a problem. Also, your cat may not like sharing with other cats. If you have more than one cat, you may need to get more than one litter box. Some cats insist that the litter box be clean. You should scoop the litter box at least every other day, and completely change the litter weekly. Also, make sure your cat isn’t having a problem getting to the litter box. For example, if your cat has become elderly or is sick, they may be having a problem actually getting to the litter box.